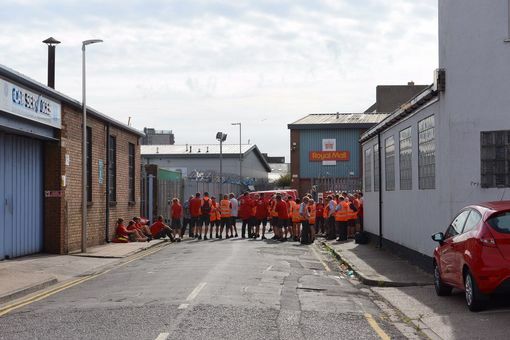 Postal staff from the Royal Mail Delivery Office in Grimsby have staged a walk out this morning over allegations of bullying and harassment by management. 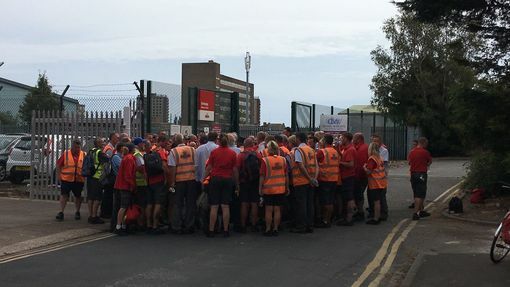 Around 150 members of the delivery staff started industrial action this morning, walking out of their office at 9am and staging a protest at the front gates. 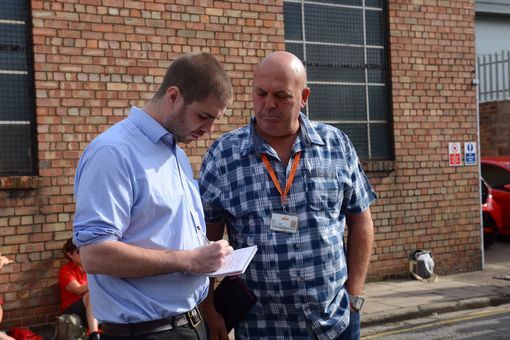 Representatives from the Communication Workers Union are at the scene supporting staff and will be meeting with management in order to find out if they are able to resolve the issues. 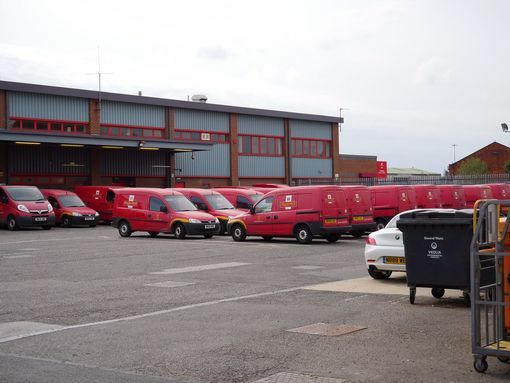 Because of the industrial action it is unlikely that any post will be delivered to customers in North East Lincolnshire today. It is not known how long the strike is expected to last, with union representatives saying that it will depend entirely on the progress of negotiations with management. One worker from the scene said: “We want to resolve this as much as anyone. If things get sorted soon we will be back at work. Union representative Kevin Lester said: “We have started negotiations with the business. So far we have an offer which will see us go back to work. CWU representatives update staff on the negotiations, as of yet nothing has been resolved and the strike will continue. Postal staff have walked out of work this morning and are striking at the gates of the Royal Mail Delivery Office. A senior manager from Lincoln has now arrived to see if the strike can be resolved. Management have started arriving at the delivery office to begin talks with the union and staff. 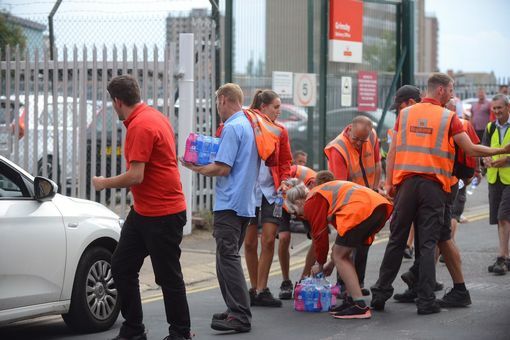 A Royal Mail spokeswoman said: “Royal Mail is disappointed that un-balloted industrial action has taken place this morning at Grimsby delivery office. We sincerely apologise to customers in the area for any disruption to their mail services. “We have staged the walk out over allegations of bullying and harassment towards staff by management. “We are unable to go into detail about the allegations at the moment. 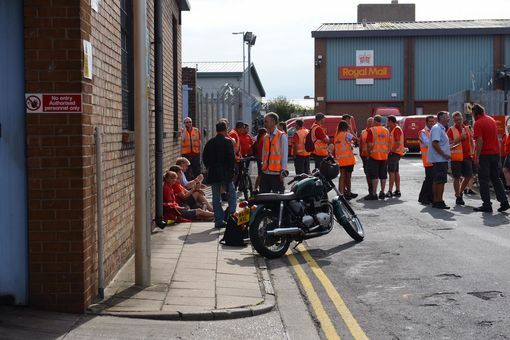 Communication Workers Union representative Kevin Lester said: “The staff at the Grimsby Royal Mail Delivery Office have staged a walk out and started official industrial action this morning.